Cosmetic is a highly consumer related item. Therefore a very new company in exporting arena needs to research the market environment of that country including the competitive phenomenon existing there. Regarding that, while we are going to launch our product Craze in Nepal we are also bound to do that. While analyzing the competitors, the main competitors should be the local companies and foreign companies who export in Nepal. But in Nepal they don’t have any local cosmetics manufacturing company. Though Nepal does not have any local cosmetics manufacturing company that is why India is our prime and only competitor because Nepal imports 80% of it’s products from India. LAKME has the greatest market share in Nepal. Nepali people are very familiar with it. Since India has a border facility with Nepal so LAKME gets an easy access there. They have a competitive edge in price and its established brand name and so it has been able to get acceptance easily. Besides, they do not have to spend huge amount of money in transportation. Moreover, India has similar cultural backgrounds with Nepal so marketing its products there did not require too much of market research. LAKME is a well-reputed brand that invests huge amount of financial resources in product development and product promotion. It gives Ads in TV, magazines and newspapers to increase it’s products sales. Therefore LAKME products are widely known and their acceptance is very high. 1. Brand Name: Any company’s first work is to establish their company name & their brand name in the market. CRAZE has al ready been able to create popularity within young generation especially within teenager girls in Bangladesh. It is popular because of its various item & its quality. The most popular items on the list are Lipstick & Nail polish. Its success is the result of superior products & distinctive competitive strategies. 2. Respectable market in Bangladesh: CRAZE has captured almost 30 percent market share in Bangladesh. It is good for the company because every company tries to capture most of the market shares. 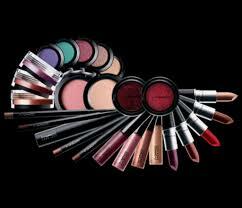 That’s why; they are one of the largest cosmetics manufacturers in Bangladesh. 3. Customer satisfaction: It always tries to give the high quality product to its customers, which helps for the customer’s satisfaction because every company or organizations main & common strategy is customer satisfaction. CRAZE follows it by giving customers with high quality item. 4. Customer’s repetitive response: CRAZE has a great support from its customers from the very beginning. Its customers give repetitive response by buying the products again & again from the shops. 5. Product Line: More than 24 different types of quality item CRAZE hold. There fore, customers don’t have to look for about different items of different brands. 6. Plant & machineries: The Company is fully automated. They don’t have any manual working process regarding manufacturing products. Since they are conscious about quality & hygiene, therefore their all machineries have imported from abroad. 7. Competitive price: The price of the goods is affordable than that of the goods brought from abroad. For example, since CRAZE is a local brand so they don’t have to go through too many distribution chains. The range of the price is TK.80 to TK. 280 that is affordable by lower middle class-to-middle class people. 8. Ingredients: There is essentially no bleaching agent & fat element in any CRAZE product active ingredients found in CRAZE products including Dimethicone, Petroleum Jelly, and Sodium PCA etc. All the raw materials are brought from abroad such as Singapore, U.K., U.S. etc. 9. Experienced Management: It is a company introducing its products in all the cities of the country due to operating in outstanding experienced management, high quality product & potential expertise. 10. Huge Skilled Work Force: All the personnel of the company like from the CEO to the junior level officers are skillful, potential & hard working. They are very active in their performance. 11. Promotional activities: Though the products are accustomed with the consumers, the company spends huge amount of money for promotional activities for these brands because of money for promotional activities for these brands because of increasing market share. For promotional activities they usually use the media’s like TV, newspaper, poster etc. They also provide some signboards on the street for advertising purpose. 1. Traditional Distribution channel: CRAZE believes in traditional distribution channel to reach to the final customers. They use mostly retailer via whole seller. This is one of drawbacks of CRAZE for not having more market share which it has now. 2. Not proper financial projection: Craze’s one of the drawbacks is, it did not follow any exact financial projection or allocations of resources comply with the real market situation. As a result, in the first three or four of operations it realized some net loss. 1. Better economy: Day by day, world economy is growing up, which leads to increase the per capita income as well as peoples choice has been changing as well. Though at present, Nepal’s per capita income is very low but if it changes with world economy then people will look for quality product then it will be helpful to CRAZE. 2. Brand expansion: CRAZE is one of the very recognized & profitable companies in Bangladesh. If they are also able to recognize their product by the quality, features & price to Nepal then very soon it will be able to expand its brand name to the other Asian countries. It is a great opportunity for them. 3. Expansion of market: If Nepal imports cosmetics from CRAZE than it will expand the CRAZE Company’s market share. 4. Reduction of cost: Though CRAZE is going to export its product at the same price existing in Bangladesh but they may reduce their product’s price to some extent in future while it would have a good adaptation to the market as higher sales will of products will reduce the costs. 5. Priority of Culture: CRAZE is always sincere to adapt the culture of the exporting countries. In that perspective, they have already started to restructure their product line so that they can be able to comply with Nepalese culture. 1. Competitor: LAKME has already made huge market in Nepal. In addition to that, since India has close border with Nepal, lots of different products with different brand penetrating in the market rapidly. It can be a great challenge for CRAZE to be successful there. 2. Culture: Culture can be a great threat to CRAZE, because CRAZE is firstly introduced with considering about Bangladeshi culture, religion & taste of people. Craze does not use any animal fat in their product. But while it will be launching in Nepal, may be the color, shape, and ingredients of products need be changed. Consequently, the product may need to change its strategy and need to adapt with the culture. 3. Government regulations: Since Nepal is a poor country and they are importing many consumer goods from outside. Therefore, to develop country’s GDP they want to export some goods rather than import more. As a result, exporting cosmetics to Nepal may create regulations or barriers from government like huge tariff, taxes on the product due to discouraging foreign companies and encouraging local companies. 4. Brand changing habits: Because of being a poor country and have free cross-border with India, many cosmetics product get easy entrance into Nepal from India with cheaper price rate which sometimes contains lower quality. As a result, people may switch to different brands with Indian & local products. Since CRAZE is containing high quality and distance to Nepal is bigger than India ultimately price can be little bit higher than that of Indian and Nepalese brand. Which may create a great threat for CRAZE products in Nepal. 5. Political Crisis: Nepal has political crisis within the country. Consequently, sometimes various obstructions like strikes of vehicles, Air strike, border close happens. This can be a threat to exporting. 6. Other threats: Nepal’s small size of the economy, its technological backwardness, its remoteness, its landlocked geographic location, and its vulnerability to natural disaster all these things hampers the foreign trade. As the world is moving towards globalization, the aspects of international trade are increasing immensely. Free flow of information and communication has enabled the passage of global business, to make at a faster and smother pace. The new invention in IT and transportation has made world a virtual global village. Everything is so readily available these days. Also the world has broadened its market and people have become more change expecting. They do not resist to new cultures fiercely. Therefore companies have the capacity to explore untapped market. The trade and cultural barriers have also decreased. In our case, CRAZE a successful company operating in Bangladesh, has got the opportunity to get into a country, Nepal that is quite different from us. These are the benefits that Globalization has given the international market. And it is quite certain that the world will see more lucrative changes in the field of marketing in near future.